BAA responds to flight delay criticism Jump to media player BAA says continued delays are because planes and crew are not yet back in the right places. Snow grounds flights across Europe Jump to media player Thousands of air passengers across Europe are left stranded by severe winter weather. Thousands of air passengers stranded because of snow may finally be on the move as travel operators begin tackling lengthy backlogs. 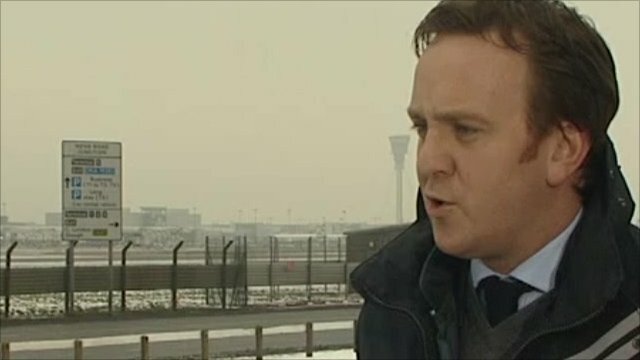 But Malcolm Robertson, director of communications at airport operator BAA, told the BBC that despite runways having been cleared of snow, flights are still delayed because planes and crew are not yet back in the right places. 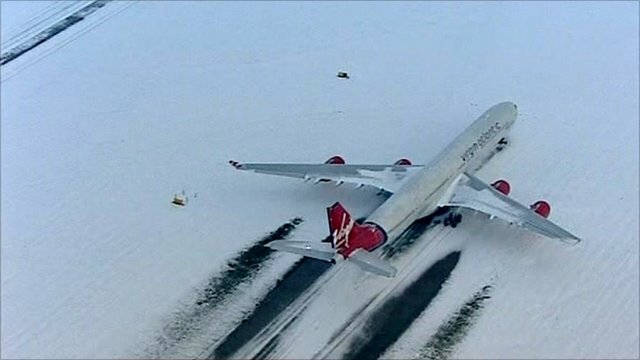 Heathrow Airport plans to run two-thirds of flights and several airports across the UK are still warning of disruption, including Edinburgh, East Midlands and Gatwick.